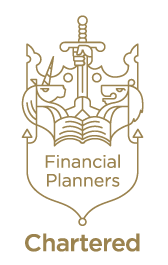 Investment advice is a huge part of what we do at BBi Financial Planning, and we are proud of the strong process we have in place to identify suitable investment funds for our clients. Before investing your money you should seek to understand the products and the investment funds available to ensure you make the right decision. You should also understand the risks involved in any investment, and the tax implications of your choices. We can help you with all of these things. We have a sound research process in place which is designed to highlight good quality funds with a track record of stable returns. We won’t (ever) promise to make you rich overnight, and we don’t jump on bandwagons. Instead we will listen to you, work with you to understand your goals, and advise you on appropriate financial products and investments. So if you would like to find out more about how we can help you invest and protect your money, call us on 020 8559 2111, or contact us using the form below.